Hippopotamuslee: Get the Look from Beyoncé's "Blow"
Get the Look from Beyoncé's "Blow"
This look was almost too easy, and by almost, I mean it definitely was. But it was requested and I LOVE this video so of course I followed suit. The hardest part was applying false lashes because I am absolutely terrible at it. On my lips I'm wearing Rimmel Show Off Lip Lacquer in Big Bang. It feathers pretty badly on me which blows (LOL), but the color is a perfect match to Beyoncé's lip color. To match her powder pink blush, I have on Sonia Kashuk Beautifying Blush in Melon. 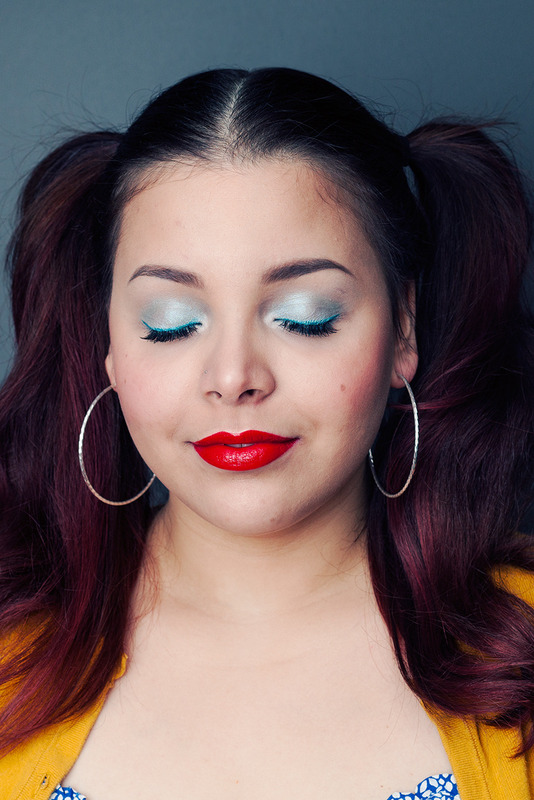 Step 1: Apply icy blue base (Dive Right In) over entire eyelid with finger. Step 2: Give yourself turquoise wings (Sparkling Turquoise). 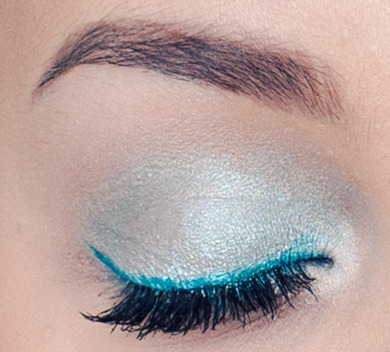 Step 3: Apply silvery blue (Browbone) to entire eye space with fluffy blending brush. Step 4: Apply white sheen (Drape) as highlight to brow bone and tear duct. Step 5: Bring white sheen down to inner 1/4 of lower lash line with a pencil brush. 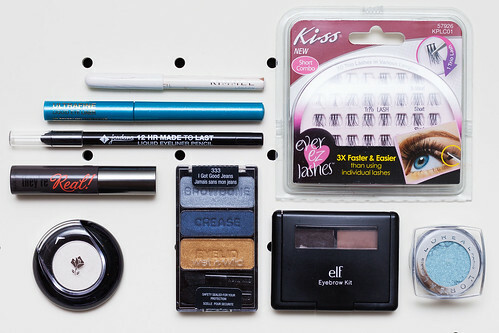 Step 6: Apply silvery blue (Browbone) to outer 3/4 of lower lash line. Step 7: Tightline upper lash line with waterproof black eyeliner. Step 8: Line waterline with white waterproof eyeliner. I got caught up with my "styling" for this look BUT I had to channel as many parts of the video as I could. I had to. Too bad I don't own roller skates or a barbed wire choker, otherwise I would have nailed it! Now go watch the 30 second preview, buy the album, and try Beyoncé's look from "Blow" for yourself! Thank you! God... I normally skip tightlining altogether because I hate it so much. Plus, the old liner I was using gave me milia on my upper lash line whenever I did do it. However, when I don't give myself proper black wings (my security blanket), I feel like I have to thicken up my upper lash line somehow. I just apply short strokes while very lightly pulling my lid upward and pray for the best. I continue to hold my lid so it doesn’t transfer to my lower lash line to let it dry afterward. I find the Jordana eyeliner to work pretty well because it truly glides on like a liquid which means it’s quick and generally painless! You look gorgeous! I love that you are doing these Beyonce looks. I too am pretty stuck on that album it's amazing! Can't wait for the other looks to come. 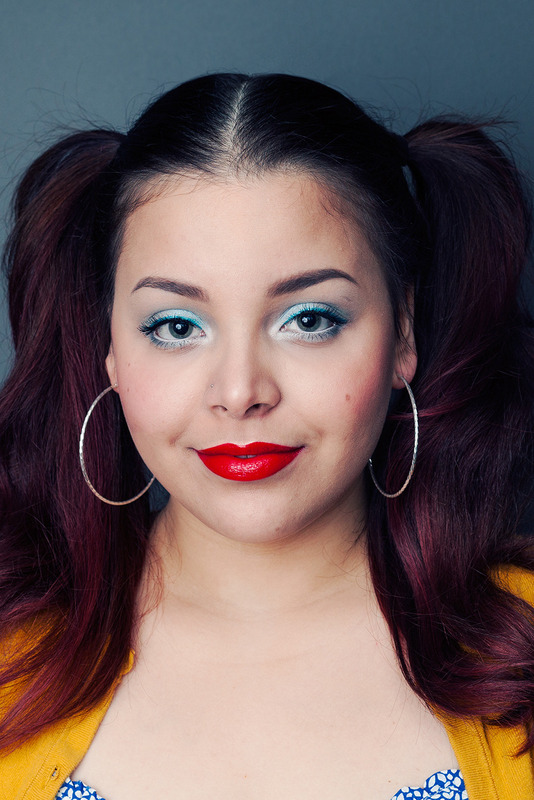 I especially love her look from Super Power. Thank you, Jen!! I'm glad you like the illustrations, too. 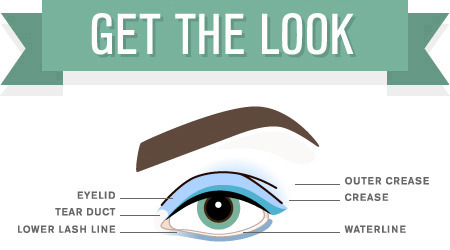 They're a helpful little guide to see what's going on in the actual photos of each look. 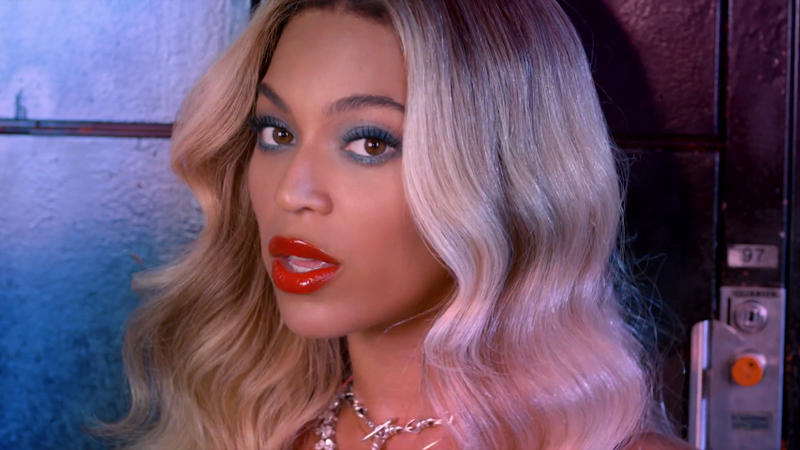 Get the Look from Beyoncé's "Haunted"